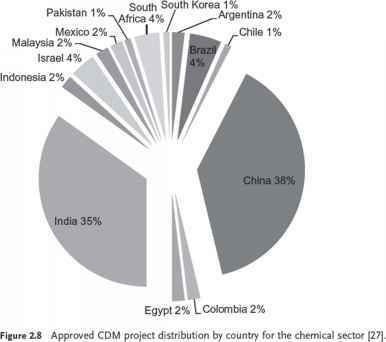 distribution of CDM projects by type and geography for the chemical and petrochemical industries. It is interesting to note that while there are a number of different types of projects for the chemical industry, projects to reduce HFCs represent nearly 70% of the registered emission reduction volume . Project Types and Applicability Criteria The CDM provides a framework to develop a wide range of project-based opportunities that reduce gases covered under the Kyoto Protocol.19' Each new project type must comply with a baseline and monitoring methodology approved by the United Nations Framework Convention on Climate Change (UNFCCC) for calculating emission reductions achieved by the project activity. A baseline methodology defines the applicability conditions and establishes a procedure to determine the baseline scenario and estimate emission reductions that result from the project activity. The monitoring methodology outlines the requirements for monitoring equipment, monitoring parameters, and quality control and quality assurance measures. There are three types of methodologies; two large scale types and one small scale type. AM refers to large scale 'Approved Methodology' where ACM refers to large scale 'Approved Consolidated Methodology. . Small scale methodologies are referred to as AMS for .Approved Methodology for Small Scale Projects' . 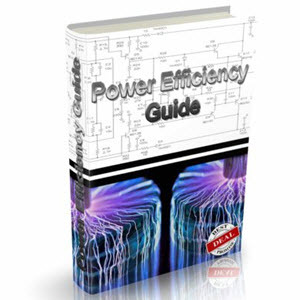 This section examines the eligible project types within the chemical process industry. Table 2.1 outlines the existing approved UNFCCC methodologies and their applicability criteria. While more emission reduction opportunities exist at a chemical complex, new project types that do not conform to existing methodologies must undertake an application process with the UNFCCC for their inclusion. Project Design Phase Chemical facilities that identify an emission reduction opportunity that complies with the requirements of existing baseline methodologies are able to begin the application process by completing a project design document (PDD) in accordance with the guidelines of the UNFCCC . 1) Description of the project activity and technology to be installed at the facility. 2) Identification of all plausible baseline alternatives in accordance with the approved baseline and monitoring methodology. 19) Gases covered under the Kyoto Protocol include carbon dioxide (C02), methane (CH4), nitrous oxide (N20), sulfur hexafluoride (SF6), hydrofluorocarbons (HFC) and perfluorocarbons (PFC). Table 2.1 Approved baseline and monitoring methodologies applicable to the chemical process industry . 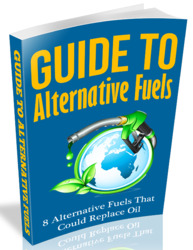 Also includes activities that vent in the baseline Limited to cases where associated gas substitutes feedstock. Not applicable to technologies displacing the production of hydrogen from electrolysis. Must prove no diversion of biogas occurs. a) Brownfield projects refer to projects at existing facilities. 3) Estimation of baseline and project emissions as well as identification and quantification of any sources of leakage in accordance with selected methodology. 5) Proof of CDM consideration. 6) Monitoring plan for the operational phase of the project activity. 7) Evidence of environmental and social benefits of project activity including stakeholder consultations. Host Country Approval Each CDM project must gain approval from the host country in order to gain registration with the UNFCCC. Host country approval is conditional on the national criteria and requirements established by the Designated National Authority (DNA) acting as the national approval body for CDM projects. Host country requirements vary considerably but generally relate to the demonstration of environmental, social, and economic benefits for the country  . 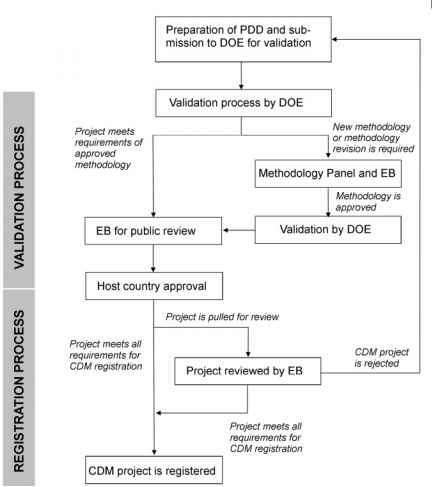 Validation and Registration The validation and registration cycle shown in Figure 2.9 is the CDM approval process before the project is eligible to receive CERs. Validation is an independent third-party evaluation of the CDM project documents against the international requirements established by the UNFCCC. The independent third-party accredited by UNFCCC is referred to as a designated operational entity (DOE) and checks that all information and assumptions in the PDD are accurate and reasonable. Following the validation process, the PDD is posted on the UNFCCC website for public comments . 0nce a project is validated, the registration process with the UNFCCC begins. Throughout the validation and registration period, information about the project is made publically available. The registration of the project occurs in the eight week period after the date of receipt by the Executive Board (EB) of the UNFCCC. During the eight week period, the EB determines whether the project activity meets the CDM requirements and may pull a project for review if there are any particular concerns with the project . Monitoring and Verification Project developers must monitor various parameters during the project activity according to the monitoring methodology approved by the EB. Monitoring is initially considered during the project design phase where a monitoring plan is included in the PDD. Information pertaining to the monitoring plan is included in a monitoring report prior to the verification of emissions by an accredited D0E . 20) Additionality addresses the question of whether the project activity is additional to the business-as-usual scenario and merits the environmental benefits of reducing greenhouse gas emissions. Figure 2.9 Validation and registration cycle. Verification during the operation of the project activity is required to demonstrate that project is achieving real and quantifiable emission reductions in accordance with the requirements of the methodology. Verification refers to the periodic and independent review of emission reductions by a DOE before CERs are issued by the UNFCCC. The DOE must provide certification in the form of written assurance that the project activity achieved the emission reduction verified during the project crediting period . Table 2.2 Example of clean development mechanism project case study. The project activity involves the abatement of nitrous oxide (N2O), an undesired by-product formed in the catalytic oxidation of ammonia for the nitric acid (HNO3) production process. N2O abatement is achieved through the installation of a secondary abatement catalyst inside the ammonia burner where the emissions are formed. N2O is a potent GHG emission with a GWP of 310 tCO2e/ tN2O. binds the project developer and credit buyer at the time credits are issued by the UN. Credit buyers comprise of a range of different entities such as emissions compliance buyers as well as traders and credit aggregators. The purpose of CERs is to eventually retire them in the place of emissions allowances to meet compliance obligations under a cap-and-trade regime. For the case of the EU ETS, this is done through the 'linking directive'21' which enables the compliance installation to surrender CERs in the place of allowances.